Architects design for the total human experience in such spaces as restaurants and spas to enhance performance, but not so much in offices, hospitals and other environments. It is time we changed that, and now with WELL, even more so. If you’re an architect, you’ve probably heard about, studied or deployed design phenomenology. If you’re a client, you may not even know what that means. Which is why, in either case, we should come up with a more user-friendly term that not only makes the concept more accessible, but also better communicates the wonder that it is, so more clients demand it, and more architects practice it. We might point to even more senses, found in instinctive, involuntary realms. To what realm can we attribute the perception of welcomeness, like when you feel at home? Or the opposite sense of danger? The sense that triggers memories? The sense of time? And what about the spirit of place (genius loci)? It’s an timeless art, actually, practiced for as long as architecture has been around. Today, we experience the magic whenever we walk into a well designed spa or theme restaurant, perhaps a hotel lobby, retail store or sports bar, certainly an amusement park. The absolute shame is that we’re nowhere near using phenomenology at scale in such places as corporate offices, hospitals and industrial facilities. And even where we apply it, we oftentimes fall short of full potential. 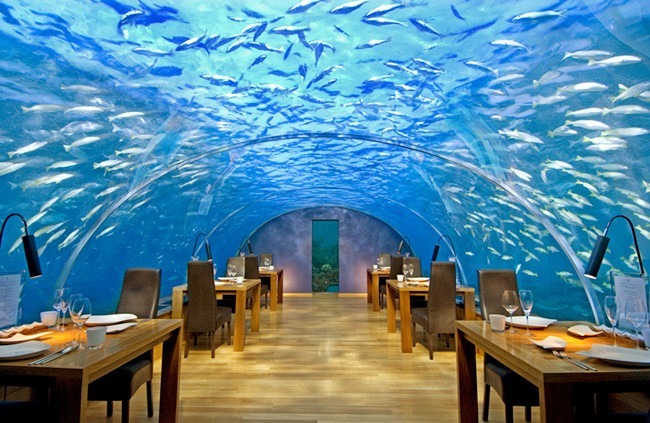 Talk about appealing to all the senses: the Ithaa Undersea Restaurant in the Maldives near India. 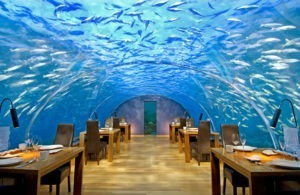 Yes, those are actual ocean fish engulfing your dining experience. Add the right sounds and aromas, and there you have it. In a deeper human sense, the phenomenological space cannot be “built”. Each person builds its own by experiencing it, living it and finally remembering it. Since no two people are the same, the possibilities are endless. So there is boundless opportunity for exploration. Clearly, this makes for far greater building and business performance, since people are absolutely drawn to these space experiences. Performance, defined as “the action or process of carrying out or accomplishing an action, task, or function,” may seem an easier concept to grasp or quantify than phenomenology. But is it? Really? What if we also thought of performance as a function of phenomenological experience? What if spaces were designed to incite multiple kinds of experiences as performance goals? Again, we tend to accept this connection for certain spaces. The calling now is to consider it for others. That is far more so now that the U.S. Green Building Council has introduced the WELL standard, focused on the wellbeing of interiors for people, to go along with LEED, which is designed for the structure itself. To be sure, a high-performing architectural space addresses resource sustainability in balance with health, safety and welfare (HSW). Still, there is a huge opportunity today for more design value that combines this with a multi-sensorial approach. And not just as a nice-to-have, but rather as an integrated feature, because it is desirable as a value that inspires beyond what the traditional five senses can perceive — a design that is more human. Because in the end, shouldn’t architectural design be, above all else, for people? When it is, performance improves. Langals gives us a tangible application. In a second part of the LEED + WELL relationship, she identifies the synergies between the two in how they overlap or complement one another. One particular area of interest is daylighting, where she identifies overlaps within LEED’s credit for Indoor Environmental Quality (IEQ) with WELL’s concept of Mind and how the two comprehend the importance of daylight in our spaces for both energy efficiency and mental/emotional health. It is a unique and powerful formula we at Integra Architecture have begun applying: the wondrous combination of phenomenology and WELL for people, with LEED for structure, which itself impacts the human experience, the result being enhanced building and business performance. We know architecture is constantly evolving, just like people and technology — expanding to new and exciting multidisciplinary horizons. Architects should continually encourage strategies that aim to “open architecture (design) to provocative (proactive) methodologies that other disciplines have already embraced,” Langals adds. As architects, we should not be hesitant to practice the architecture that inspired us into the discipline in the first place. 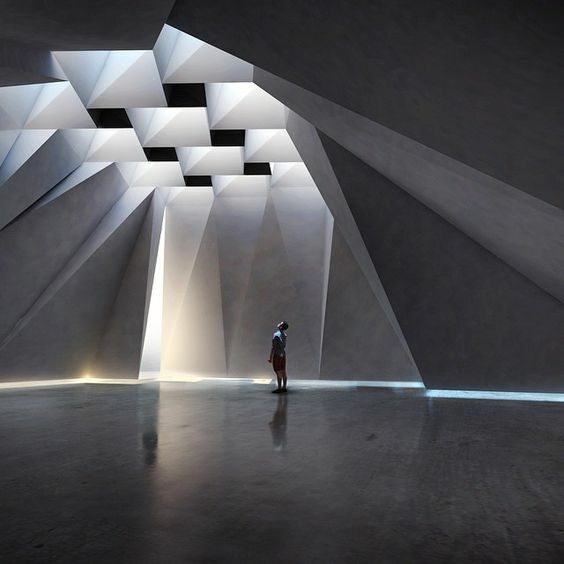 As users and clients, we should seek the architecture that feeds the sensorial delights of humanity. We should engage in a more flexible attitude that moves us and inspires a better way forward. It is time to deepen the discourse, deepen the conversation, addressing the performance and phenomenological experience of space. The concepts are not new, and they are commonly used in certain spaces. But the time has come to spread the magic to others, combined with greater use of WELL, to produce better performing architecture through sensory thought. This is performance as an integral part of phenomenological experience that recognizes our multisensorial nature — yes, a sustainable experience AND a wellness experience — but more livable, more memorable, more human. 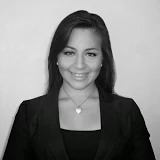 Raquel Rivera, Architectural Designer at the San Juan office of Integra Design Group since 2014, specializes in design, project management, construction documents, graphic design, multi-media marketing, and quality management system (QMS) implementation in A/E projects. She has collaborated in residential projects, office interiors, elderly centers, commercial buildings and master planning.